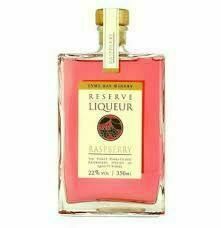 Lyme Bar Raspberry Reserve Liqueur is made from the finest hand-picked raspberries. They have been combined with vodka and mixed with a small amount of sugar, giving the liqueur a fresh and unique flavour. This liqueur is perfect to enjoy on it's own, or you can add it to a cocktail for an exciting drink that everyone will want to try. 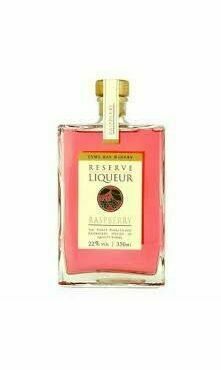 The liqueur will make a wonderful gift or treat for any occasion, with a luxurious taste that the recipient will love. Can I request a delivery date? We can deliver on any day of your choice. To do this, simply select a delivery date at the checkout. All orders received before 10am Monday to Thursday will be dispatched for next working day delivery unless a preferred date is specified. Orders placed after 10am on Thursday, Friday, Saturday and Sunday, unless courier delivery is selected, will be dispatched on Monday (excluding Bank Holidays when they will be dispatched on Tuesday). Please note: Orders need to be received by 10am on Fridays for weekend deliveries and next working day Monday Deliveries. As hampers often contain chilled items they cannot be dispatched on a Friday for Monday delivery as they would be held in a depot over the weekend. You may cancel your order up to 48 hours prior to the dispatch date. This will incur a small administration charge. If you are not happy with your hamper please contact us to arrange return within 24 hours. The full value of the hamper will then be refunded on receipt of undamaged and/or in date goods excluding postage. It was very easy to order and to have the item sent straight to my relative. I highly recommend the service provided.